The heir to the world's most famous royal family welcomes the visitor guide of one of the most powerful nations in the world. The question arises: where do you sit for a pleasant conversation? Of course in the Duke and Duchess of Cambridge's own apartment at Kensington Palace! Prince William and Kate Middleton moved to Kensington Palace's 1A apartment in 2013, but only after they were massively renovated, they paid £ 1 million. To call an "apartment" is an understatement: the domain of the royal couple is a wonderland with four floors and twenty rooms. 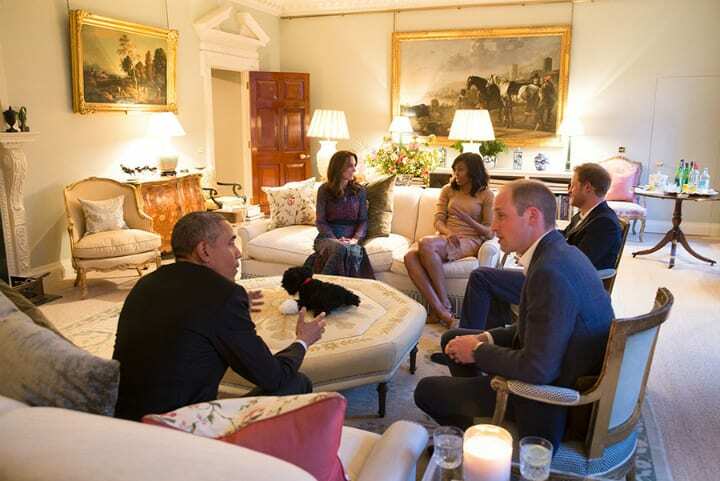 When the couple and prince received Harry Barack and Michelle Obama, the world took a rare look at their beige salon.